What constitutes digital humanities (or what constitutes the digital humanities) is a question to which the multiplicity of answers now comprises a genre. The answer to this question largely depends on how we define the relationships between digital humanities and the traditional humanities disciplines, as well as the emerging humanities disciplines and the natural sciences (including computational science). Exploratory rather than prescriptive in style, this workshop will ask participants to define digital humanities as it relates to their own scholarly identities, disciplines, sources and research methodologies. 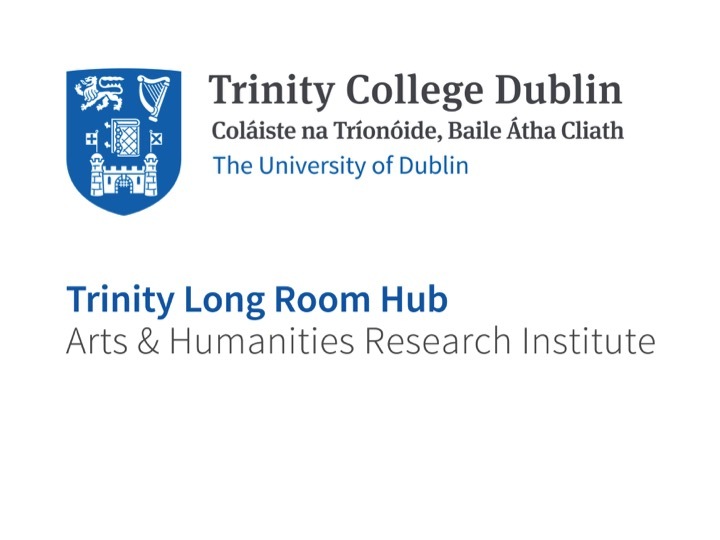 Participants will also be introduced to the landscape of digital humanities at Trinity College Dublin. Theoretical debates and challenges in the field will be discussed throughout this workshop which initiates the Digital Scholarship and Skills workshop series for the 2018-2019 academic year. In this workshop, participants will be encouraged to examine their own scholarly practices and those of others, refining our responses to the fundamental question: “what is scholarship?” The modes by which the digital disrupts our ability to read certain scholarly objects will be explored in detail, as will the ways in which we can embrace some of the new audiences, values, forms, functions, environments, methods, modes of argumentation, outlets, and validation pathways the digital brings with it. The session will combine lecture and discussion with a hands-on exercise in evaluating diverse scholarly objects, testing our ability to judge their impact and value, and to promote such objects to our peers. Participants are requested to bring a laptop to the workshop. This workshop is designed to introduce participants to the theories, practices and methods for encoding digital text in the Humanities. It provides an introduction to markup languages, XML, the infrastructure of the Text Encoding Initiative (TEI) Guidelines, and the encoding of common textual phenomena. Participants will have an opportunity to apply the basic elements of TEI-XML to encode a literary text using the oXygen XML Editor. The workshop combines lectures and discussion with practical hands-on exercises. No previous experience with digital text is assumed. Participants are requested to bring a laptop with the latest version of jEdit Text Editor, available here. This workshop will begin by briefly illustrating the power of mapping to reveal relationships between seemingly disparate phenomena through space (and time), as well as highlighting common pitfalls and poor practices in mapping, both historical and contemporary. It will also showcase a range of digital mapping platforms – including a selection from the proliferation of online platforms that host and visualize spatial data of various forms – before examining the use of two common competing desktop platforms, Google Earth and ESRI’s ArcGIS, and how the two can be made to speak to each other (or interoperate). The latter half of the workshop will be practical, with workshop participants engaging directly with ArcGIS software and being guided through fundamental approaches and techniques in historical GIS. Please note that it may be necessary to divide the latter half of the workshop into two groups to facilitate participant training.